Before we go any further, let me say that the dress is definitely blue and black. To be fair, the first time I looked at it, I did think the black looked a little metallic, but never did it occur to me that the dress was white. The argument has now been settled, though, thanks to scientists and Photo Shop. But, the moral of the story is next time you’re unsure about the color of an article of clothing – ask a fashion blogger. I’m working on a make-up tutorial – not sure exactly how that works with the mirror situation, but I promise to try to figure it out, guys! Anyway, I’ve done the same with makeup. Lip gloss had my heart for a while, and then I tried to be a grown up and make lipstick happen (it didn’t). I’m currently infatuated with eye shadow. I don’t know why – maybe it’s because there are so many different colors, most of which are socially acceptable to wear. Or, maybe it’s because the MAC counter lady/YouTube tutorial on Carrie Underwood’s smoky eye have helped me finally get the hang of this thing. 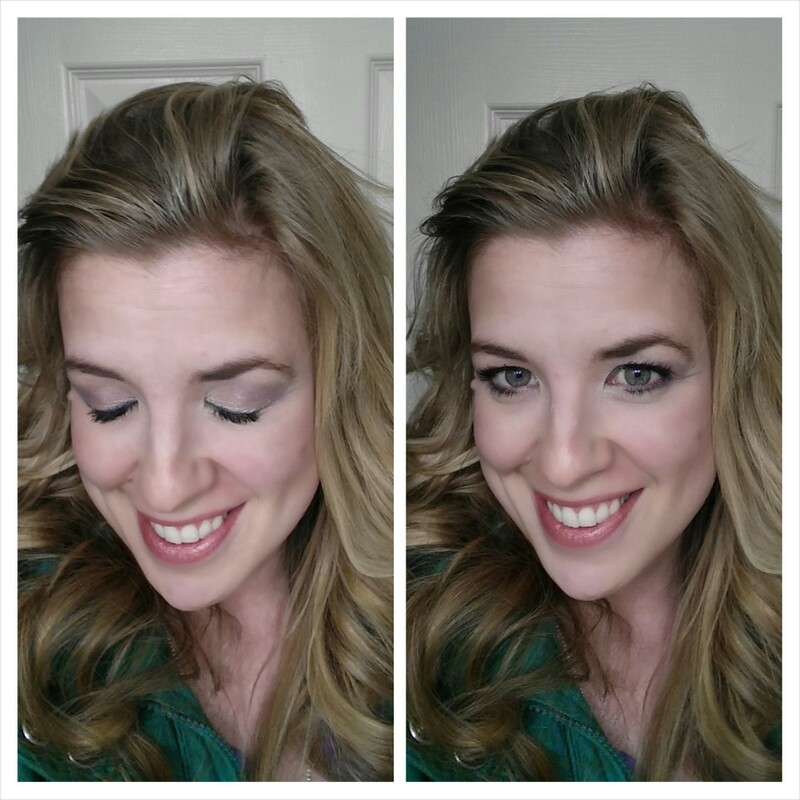 Whatever the case, I love, love, love eye-shadow. My favorite brand is MAC, of course, with Urban Decay coming in as a close second. There really is a difference between the high end brands and the cheaper ones, in terms of coverage, ease of application, and pigmentation. But, it’s hard for me to justify spending $40-70 on eye shadow on a regular basis. So, for the most part, I use the drug store brands. Enter ULTA. I love their eye makeup. I’ve tried a lot of different cheapo brands, and ULTA has consistently proven the longest lasting and the best pigment/strongest color of any that I’ve tried. It’s not the same quality as MAC/Urban Decay, but it is definitely a good, much less expensive option. For the look below, I used a compact that came in an ULTA free gift with purchase. I collect these things like I used to collect pogs – the color combinations are always amazing for a smoky eye, and they don’t sell these pre-made combos in the store (just individual colors). So, I always make sure I snag the free gift. 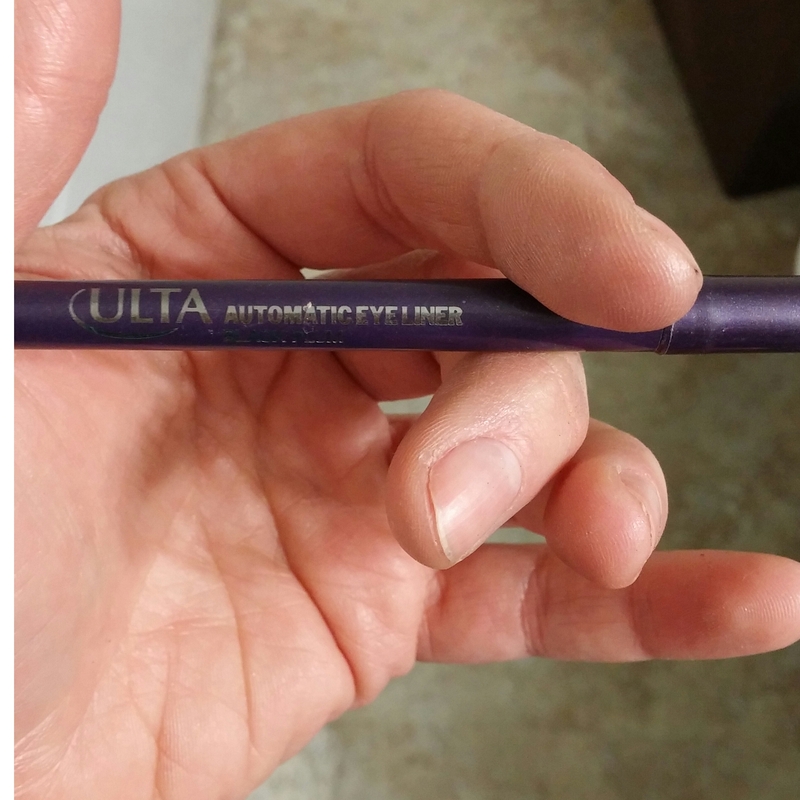 For my eyeliner, I used an automatic liner in Black Plum from ULTA. I really like colored eye liner (done in deep, rich colors, it’s a nice accent, not a scary, pre-teen experiment), and ULTA’s automatic liners, as well as their gel pencils, are both easy to use, pretty smooth in application, and long-lasting. And they can be found on sale for $1 or $2, if you have the patience to wait for it. Lastly is mascara. I actually don’t particularly care for ULTA’s mascara – it’s the one product in their eye line that I’m not impressed with. I’ve tried a couple different varieties, and it just generally seems pretty dry and ineffective. 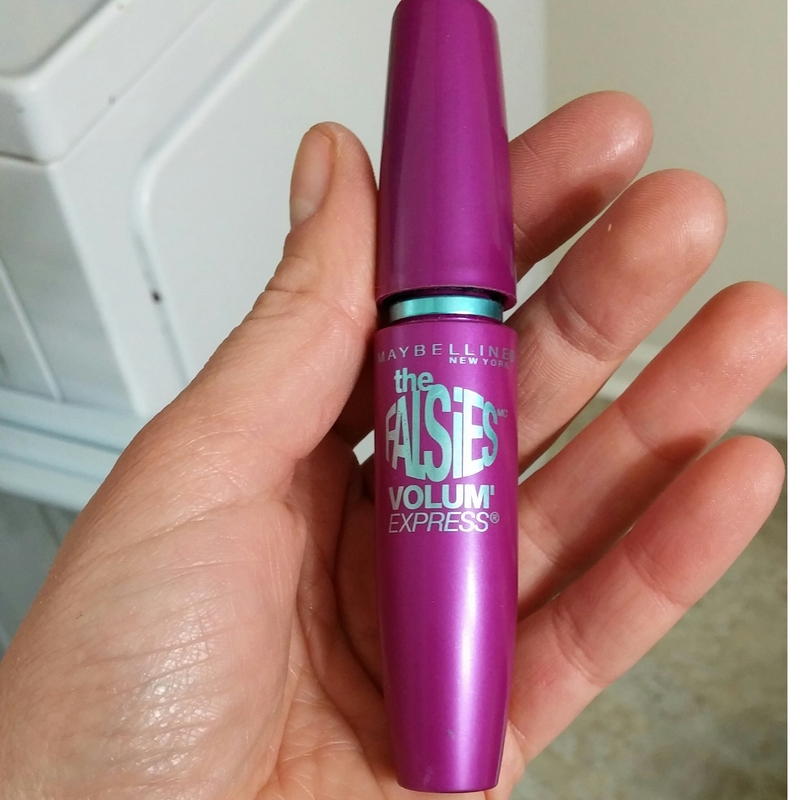 But, I do have a favorite cheap brand, and that’s Maybelline’s The Falsies. I haven’t ever tried expensive mascara, so I can’t really compare. But, of the many different drug-store varieties I’ve tried, the Falsies is definitely the best. And here is the finished product – don’t mind my hair. ULTA has a great rewards/coupon program, and they are always running specials. So, if you’re a makeup junkie like me and have not yet signed up, I would recommend doing so ASAP! I probably should mention that neither ULTA nor Maybelline has paid me or in any way even knows about this review. If they learn about it and want to pay me to review their products, awesome…but if not, consider this my contribution to society for today. 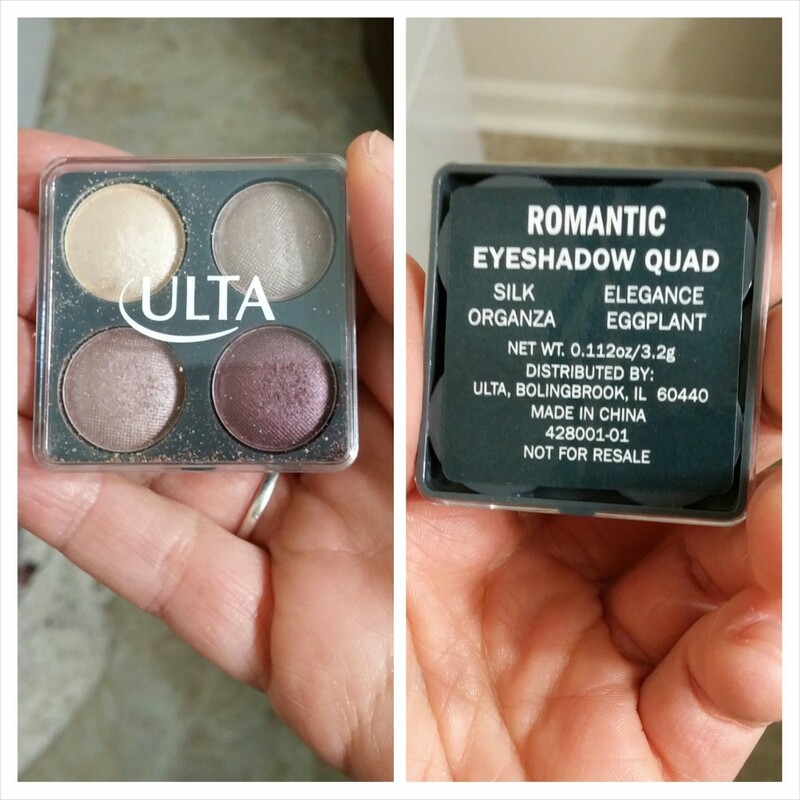 Have you all tried ULTA – what do you think? What’s your favorite drug-store brand eye makeup? Let’s talk in the comments, and have a great weekend everyone!